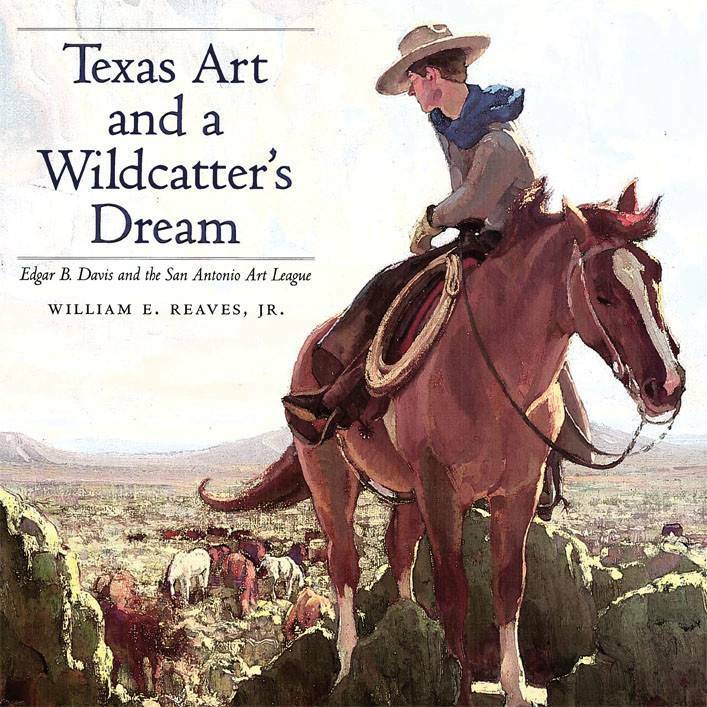 By William E. Reaves Jr.
At a crucial moment in the development of Texas art, an eccentric oil wildcatter turned to the prestigious San Antonio Art League with a proposal. He would fund a national art competition featuring the state’s wildflowers if the league would handle the details. Thus were born the Texas Wildflower Competitive Exhibitions. A transplanted “Yankee trader,” Edgar B. Davis had the mystical conviction that his success was intended for the public good. After developing the Luling oil field in the early 1920s, he established charitable foundations and gave generously to the arts. 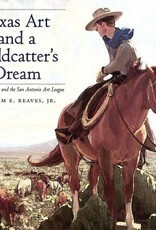 With a wordly sophistication and a special affection for Texas wildflowers, he offered substantial cash prizes to attract many of the nation’s most prominent artists to the wildflower art competition. Davis later broadened the scope to include scenes of Texas’ ranching and cotton industries. From this alliance of philanthropy and talent came what art historian Cecilia Steinfeldt calls “a milestone in the saga of Texas art history.” Exhibitions in the late 1920s nurtured the state’s emerging art community and fueled the regionalist movement that would reject impressionism and gain prominence in the 1930s. Twenty-nine color plates of the competitions’ best work are reproduced here, including paintings by such artists as José Arpa, Dawson Dawson-Watson, and Oscar E. Berninghaus, and Herbert Dunton (founding members of the Taos Society of Artists). Eight more prize-winning works are included in black-and-white. Cecilia Steinfeldt’s foreword places the competitions in historical perspective, and art appraiser and teacher Richard Casagrande comments on the paintings in an afterward.